When you think of South America, the Bolivian Salt Flats of Salar de Uyuni might not be the first thing that pops into your head. The annual Carnival in Rio, the Amazon jungle, and the mountains of Patagonia are all much more popular with the average traveler. 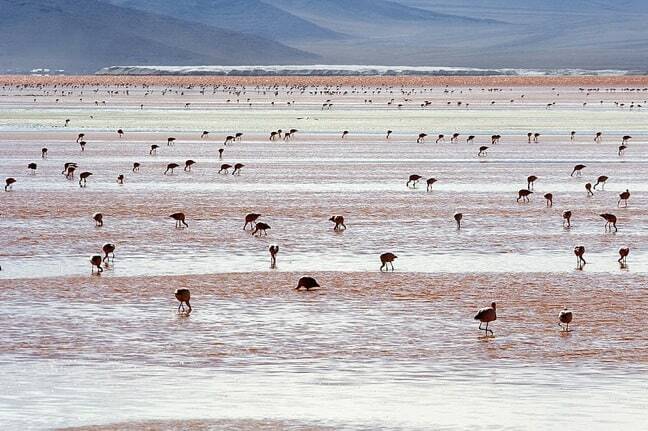 But landlocked in the middle of all these better-known destinations, often left neglected and forgotten, lies Bolivia. It’s not until you actually arrive in South America and hear all the hype about the country from other savvy travelers that you begin to realize that Bolivia may be the continent’s most precious undiscovered gem. The country’s landscape varies greatly, with ecosystems running the gamut from dry desert to tropical jungle, from high altitude to low. 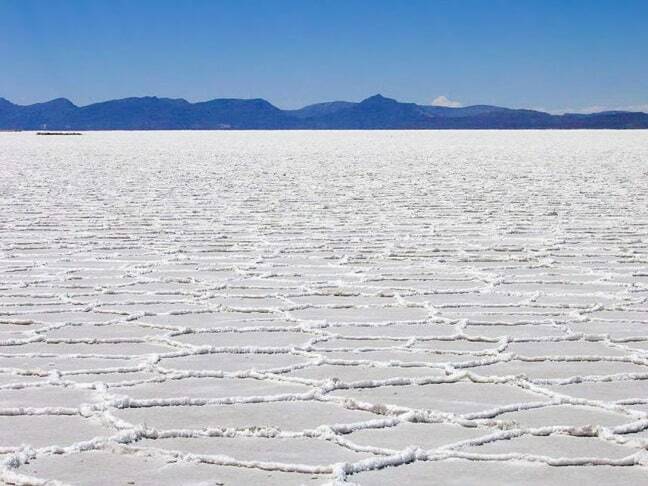 But the main attraction for most visitors is the expansive Bolivian salt flats. These vast, mountainless streches of salt have been a burgeoning ecotourism hotspot for years, bringing much-needed tourism dollars into the country. The town of Uyuni offers virtually no attractions other than its uniquely picturesque surroundings. The best way to see the amazing sights is via a Jeep tour: I took one from San Pedro de Atacama, in the north of Chile, which proved a perfect way to combine crossing the border, skipping a long bus journey, and basking in the sights that you find along the way. After crossing the border into Bolivia, we made our way through the desert landscape, making numerous stops throughout the day at various lagoons in the area. With mountains off in the distance, the perfectly still, shallow waters of the lagoons reflected the stunning landscape perfectly. At many of these spots we found Andean flamencos lazily wading their way through the waters, nibbling away at anything that took their fancy under the mirror-like surface of the pool. Much of the first day seemed like we were driving through some barren, desolate land, but every now and again we’d round a corner to find something of beauty waiting for us. In the middle of nowhere, we came to a natural hot spring and made our way over for a dip. Later, the foul stench of rotten eggs started to seep into the Jeep, as we came closer to a collection of geysers spewing out sulphur gases. Our accommodation that night was at 3,000 metres, making breathing a labored activity. But the serene sense of silence that surrounded us allowed us to rest deeply after a long day of travel. Off to another early start, we drove through the desert for most of the second day. The ground gradually transformed from the sludgy grey clay that surrounded the lagoons to terracotta sand, and our first stop of the day took us to numerous gigantic boulders surrounded by the stuff. Even the laziest of tourists would not be able to resist climbing a little way up the rocks to gain a better view of the panorama, which includes the empty desert and snowcapped mountains in the distance. Looking like something out of a Stephen King novel, the tourist attraction features long lines of beaten up, rusted old trains lying half buried in the sand. Bolivian children ran in and out of the carriages, but backpackers also did the same in equal numbers. 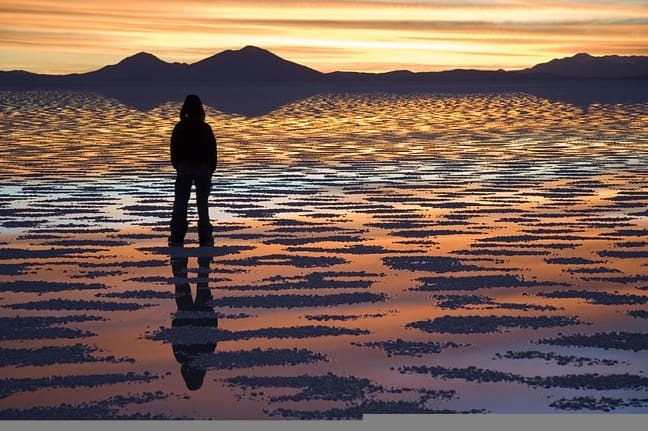 After appeasing our own childlike sense of frivolity, we drove into Uyuni at last, and spent the night eagerly anticipating the main event on the following day. For our drive out to the Bolivian salt flats, we were given the option of leaving at either 5 AM or 10 AM. Due to the plans of others in our group, we opted for the former. As we watched the sunrise over the silent, deserted flat a few hours later, I knew that my alarm painfully waking me at 4:30 was worth it. I’d never witnessed anything quite so spectacular, and I could hardly believe it when I reminded myself that this natural beauty happens every single day. The flats are usually covered in water, and the stunning mirror image of the sky on the ground was one I will never forget in my lifetime. Onwards we drove to an island in the middle of the salt, which was covered in cacti. It was still early in the morning, and the sun shone brightly through the clouds, turning every needle on every plant a burning orange. 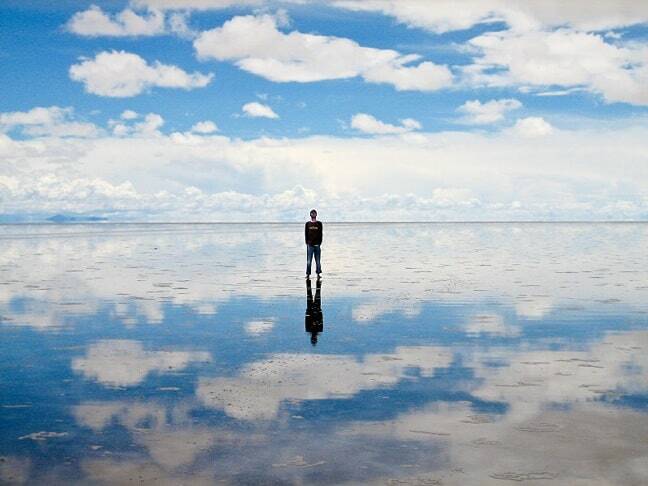 Right next to the island is the place where most visitors to Salar de Uyuni take their obligatory forced-perspective photos. Dotted all over the flats you’ll find tourists pulling absurd poses to make pictures of one standing in the other’s hand, or being crushed by a giant foot.